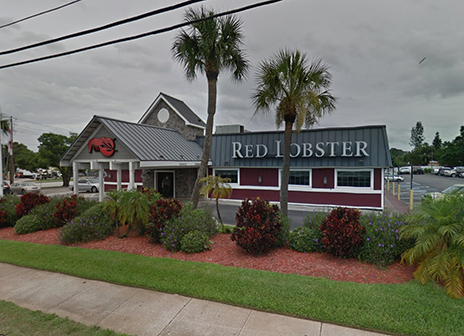 An intoxicated Florida Woman plucked a live lobster from a tank at a Red Lobster and bolted from the St. Petersburg restaurant with the purloined crustacean, according to police. 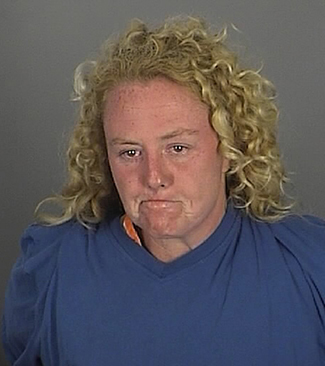 Responding to a 911 call about the lobster heist, a sheriff’s deputy located Gabel, who smelled of booze and was slurring her word. Continuing to curse, Gabel denied knowledge of the pilfered lobster’s whereabouts. Gabel explained that since she was “blacked out drunk,” she “did not care because she did not do anything wrong” at Red Lobster (seen below). Busted for disorderly intoxication, Gabel was booked into the county jail on the misdemeanor count. She was subsequently released on $100 bond. Gabel’s lengthy rap sheet includes arrests for trespass; theft, drug possession; loitering; burglary; carrying an open container of alcohol; exposure of sexual organs; violating probation; domestic battery; defrauding an innkeeper; disorderly intoxication; drunk driving; and resisting an officer.